A beautiful A5 lined notebook Digitally printed using the latest technology. Each notebook has a luxurious touch cover and a band to hold it closed. A beautiful a5 lined notebook Digitally printed using the latest technology, with an image designed by ourselves and personalised with your choice of name, the perfect thank you gift. Luxury hard cover notebook with rounded corners containing 192 pages of lined ivory-coloured 80gsm paper, complete with colour matched ribbon bookmark and elastic closure. Each notebook has a luxurious touch cover and a band to hold it closed making it practical for on the go notetaking. TO PERSONALISE: Simply message us with the name you require printing please if you can stick to 15 characters, or message us if you need more printing to see if this is available. We carefully check the quality of each item we make before shipping to ensure you receive your goods in perfect condition. Luxury hard cover notebook with rounded corners containing 192 pages of lined ivory-coloured 80gsm paper. 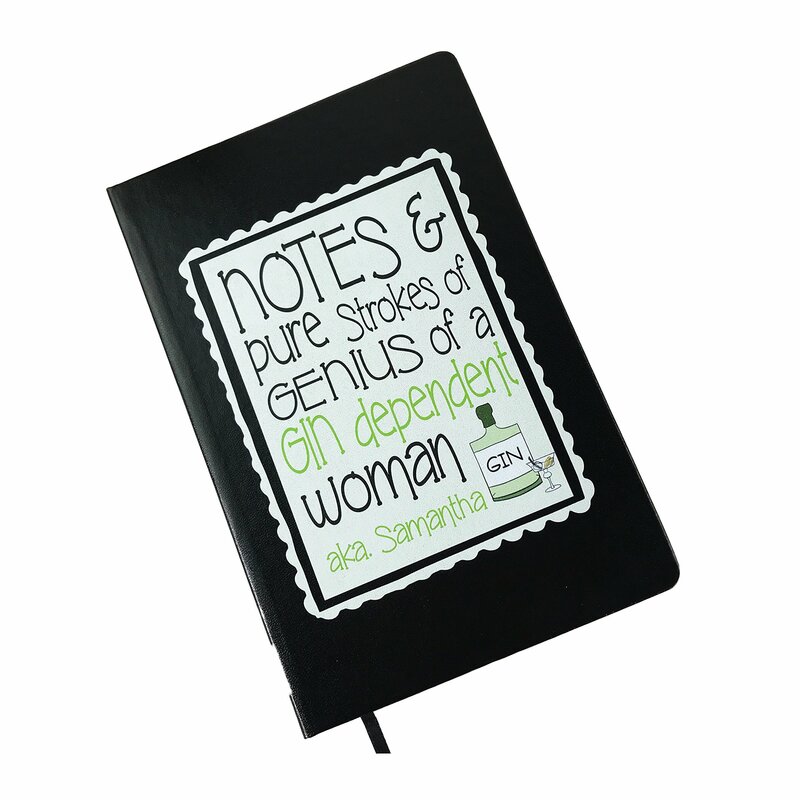 A Perfect Gin Lovers Gift.